In my up coming Science and the UFO controversy column for the Australian Ufologist magazine I've written a piece called "The Cosmic Tornados of OZ". Here is part of it as related to the fascinating 1963 experience of farmer Charles Brew near Willow Grove in Victoria. 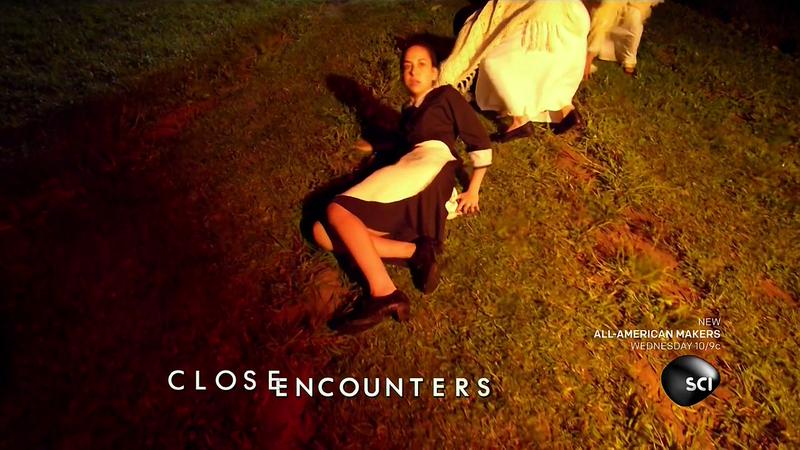 The "Close Encounter" series will cover the story with their usual flare. It will be dramatic and it will get some sense of the original. Shane Ryan and I will be giving commentary on the show. Back in about 1980 I visited the Willow Grove property. Sadly Charles Brew had passed away by then. His family showed me the location. It wasn't quite like this. The UFO may have been that close, but there was a steep immediate drop off of the land with hills in the near background and the weather - clouds and rain much more closed in. Still, its only an attempt at dramatic recreation. I refer you to the more detailed story here and to Keith Basterfield's "cold case" review. 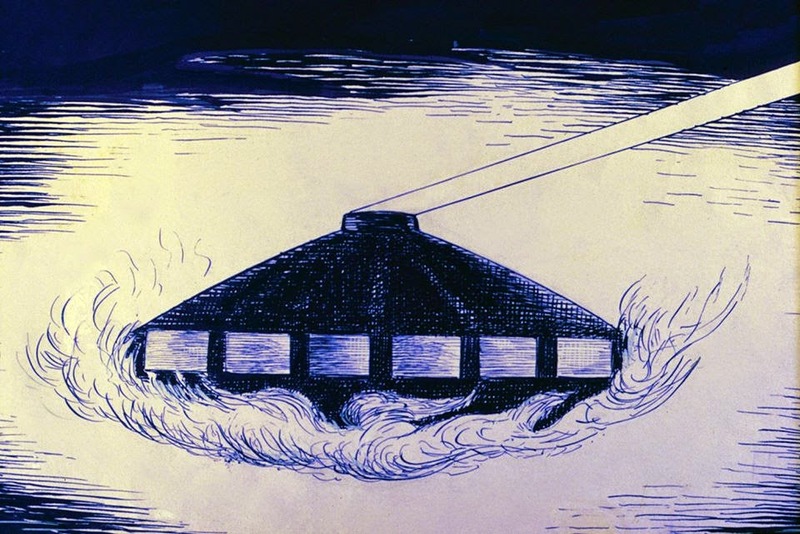 Here for the first time is the real story behind the RAAF's strange embrace with their "close encounters" with "the cosmic tornados of OZ" - how Dr. Berson set the seed that unleashed a tornado that was the RAAF's "UFO problem." 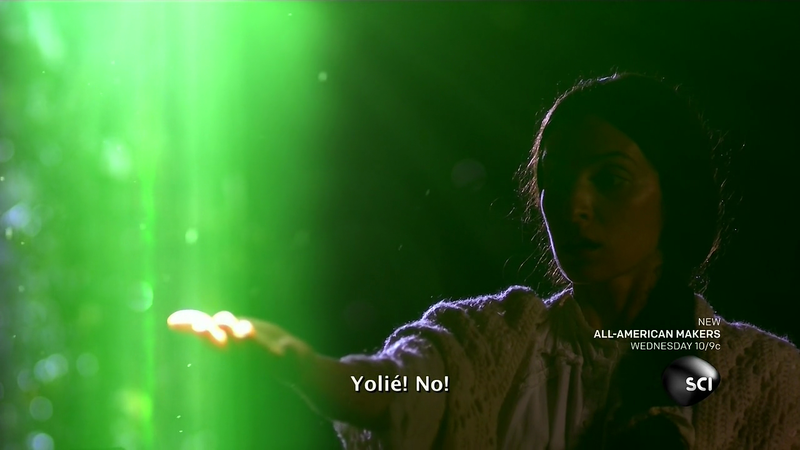 Dorothy in “The Wizard of OZ” got taken to OZ. Here is the story of how our knights of the air – the RAAF in the form of the Department of Air (now Department of Defence (RAAF)) – also got carried away by “tornados” but they were already were in the real OZ – Australia – and a scientific reality check was always there. The RAAF just didn’t pay too much attention. So much for the RAAF’s citation of “the scientific record” for their strange and toxic dance with UFOs. At 7 am, February 15th, 1963, Charles Brew bore witness to a something remarkable. With his 20 year old son, Trevor, Charles was at work in the milking shed on their farm, "Willow Grove", near Moe, Victoria. It was light, but rain clouds lay overhead. Charles Brew was standing in an open area, with a full view of the eastern sky. It was from that direction that he saw a strange object appear and descend very slowly towards the milk shed. The objects approach was coincident with the cattle and a pony reacting violently. The 2 farm dogs fled. A local newspaper even reported that the cows turned somersaults, a suggestion the Brews denied. 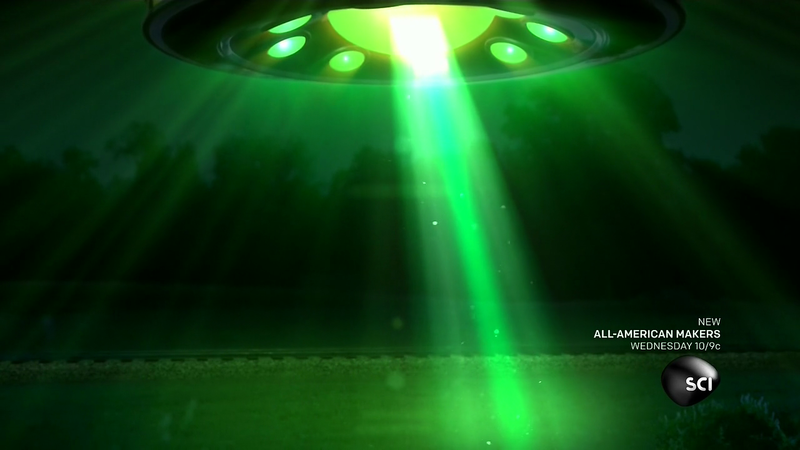 The UFO descended to an apparent height of between 75 and 100 feet, hovering over a large Stringy-Bark tree. It was about 25 feet in diameter and 9 to 10 feet high. The top section appeared to be a transparent dome of a glass-like material, from which protruded a 5 to 6 foot high mast or aerial. 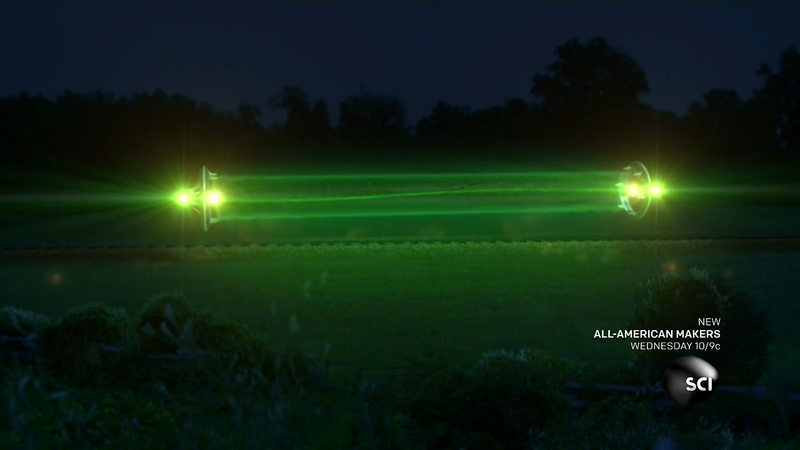 The "aerial" appeared to be as thick as a broom and resembled bright chrome. The top portion of the disc itself was battle-ship grey in colour and appeared to be of a metallic lustre. The base or underside section glowed with a pale blue colour and had "scoop-like protuberances about 12 to 18 inches apart around the outside edge." This section rotated slowly at about one revolution per second. This spinning motion apparently caused the protuberances to generate a swishing noise, somewhat like a turbine noise, that was clearly audible not only to Brew but also to his son Trevor, who was located inside the shed near the operating diesel powered milking machine units. Charles Brew described how he felt his eyes were drawn towards the object "as though beams of magnetic current" were between it and him. He also experienced a peculiar headache which came on with the approach of the object. Even though Brew normally did not suffer migraine, the use of tablets did not subdue the headache. After hovering for a few seconds the object began to climb at roughly a 45 degree angle, continuing on its westward course and passing up into the cloud deck again. Trevor did not see the UFO, but confirmed the unusual sound, like a "diggerydoo" or "bullroarer" - aboriginal artifacts which can produce pulsating wind rushing noise. 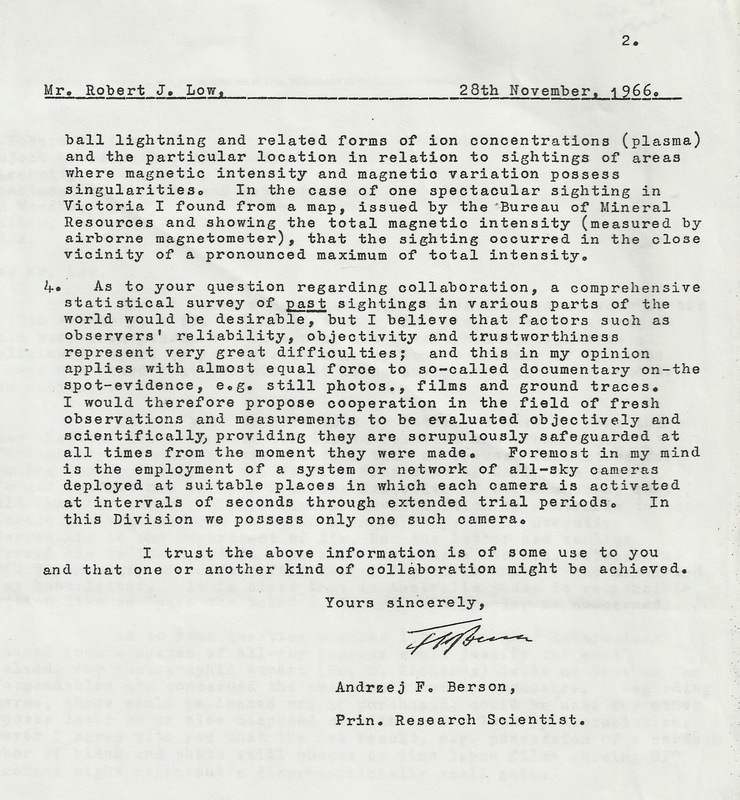 The first serious investigation of the UFO event was conducted by Dr. Andrzej Berson, a principle research scientist of the CSIRO Division of meteorological division, and his associate Mr. Clark(e). They arrived at the site within a few days of the event. "On 6th March, Dr. Berson and Mr. Clark(e) (of the CSIRO (Commonwealth Scientific & Industrial Research Organisation) Meteorological Physics division) were interviewed to see if clouds give this type of phenomenon. They agreed that a tornado condition could give this effect. The direction of rotation of Brew's report of the object was consistent with known facts for the Southern Hemisphere. The blue-ish colouring has been reported previously and is probably due to electric discharge and there would be a smell of ozone. The only difference in Brew's report was that the object moved from East to West because all previous reports to the CSIRO Met section of this nature have been from West to East. Mr. Brew stated that the wind was fresh from an easterly direction. However, (a) meteorological report states that wind was westerly at 8 knots." The report notes that the met report was from a Yallourn observer, which is about 20 kilometres away, therefore local variations in the weather would not have been unusual. Despite this lack of rigour in determining how relevant their hypothesis was, the RAAF officer' report concluded, "There is little doubt that Brew did witness something, and it is most likely that it was a natural phenomenon. The phenomenon was probably a tornado. There was no reported damage along its path, therefore one could assume that it was weak in nature." 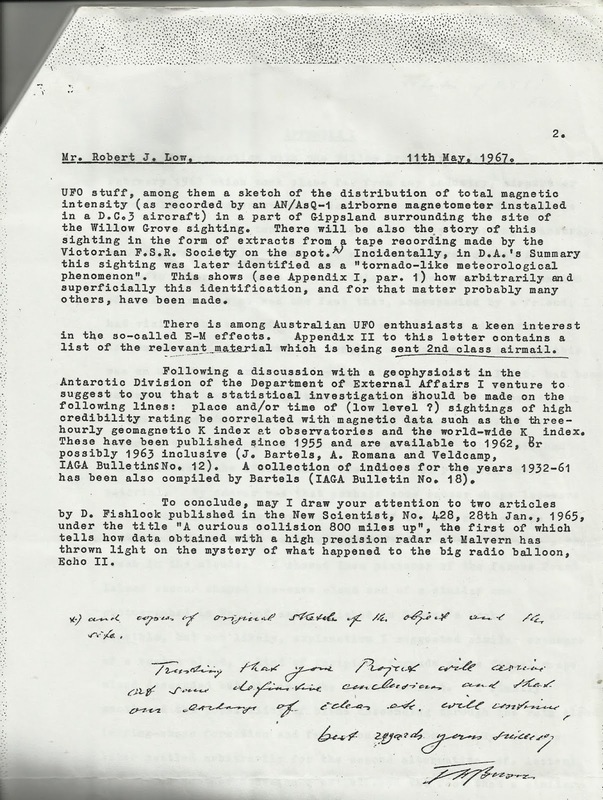 The Department of Air responded to a civilian UFO group enquiry about the incident with the following statement, "Our investigation and enquiries reveal that there are scientific records of certain tornado-like meteorological manifestations which have a similar appearance in many ways to whatever was seen by Mr. Brew. The information available is such however, that while we accept this is a possibility, we are unable to come to any firm conclusion as to the nature of the object or manifestation reported." The official sighting summaries removed any such doubt. By then the "possible cause" was listed as a "tornado like meteorological manifestation." 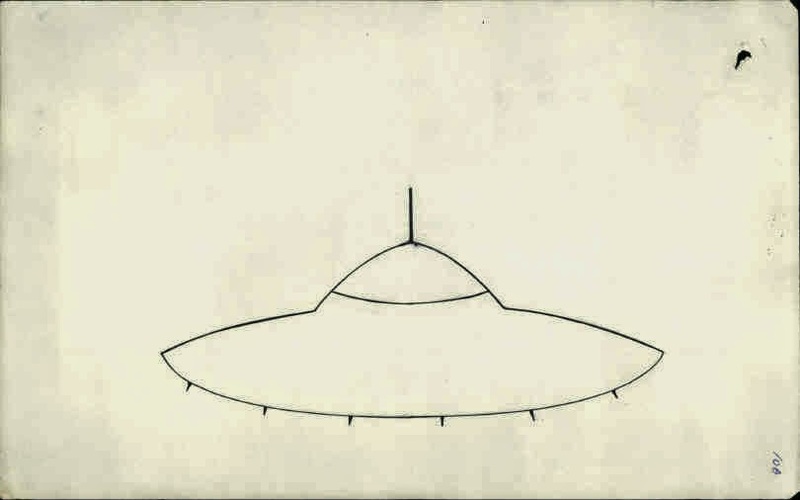 In correspondence with the Victorian Flying Saucer Research Society, the CSIRO's Dr. Berson indicated, "we are unable to come to any firm conclusion as to the nature of the object or manifestation reported." It seems clear that the RAAF were largely parroting the CSIRO's conclusions and taking things a little further without any realistic justification. Their musings pre-empted Terence Meaden's "vortex" hypothesis by some 2 decades. Dr. Berson and Mr. Clarke visited Charles Brew at the Willow Grove property. According to Brew, Dr. Berson was interested in the headache that he had, and indicated that Berson had said that it tied in with their theory of a possible electromagnetic nature of the incident. The CSIRO's field investigation had in fact preceded that the RAAF by about a week. 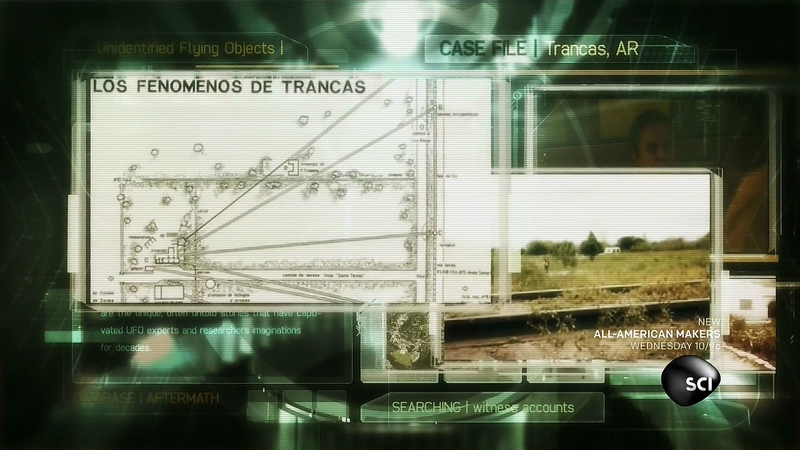 Brew indicated that the RAAF officers told him that the object he saw was similar to those seen overseas and that it was the best sighting they had looked at. What the Department of Air referred to as a "tornado like meteorological manifestation" elicited the following emotive description from Charles Brew. 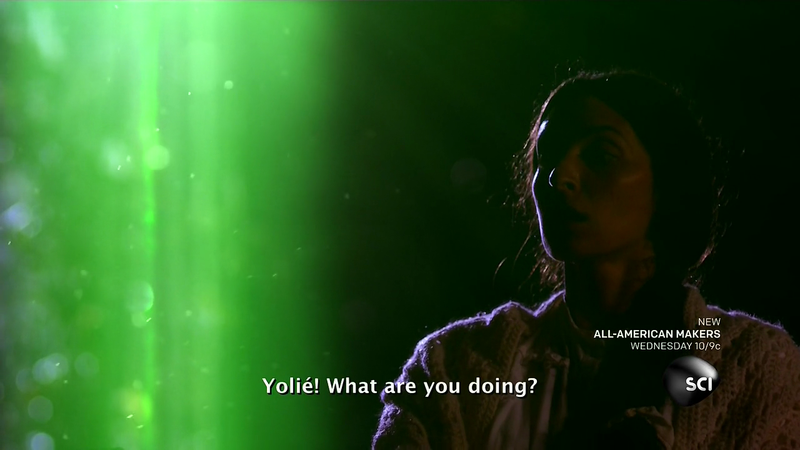 It mirrors the striking nature of his encounter with the "unknown". He said, "I wished it would come again. It was beautiful. I could feel the life pulsating from it." Dr. James McDonald visited Charles Brew during his 1967 Australian trip interviewing him at the site of the 1963 incident. McDonald concluded, "like that of many other UFO witnesses, it is extremely difficult to explain in present-day scientific or technological terms." 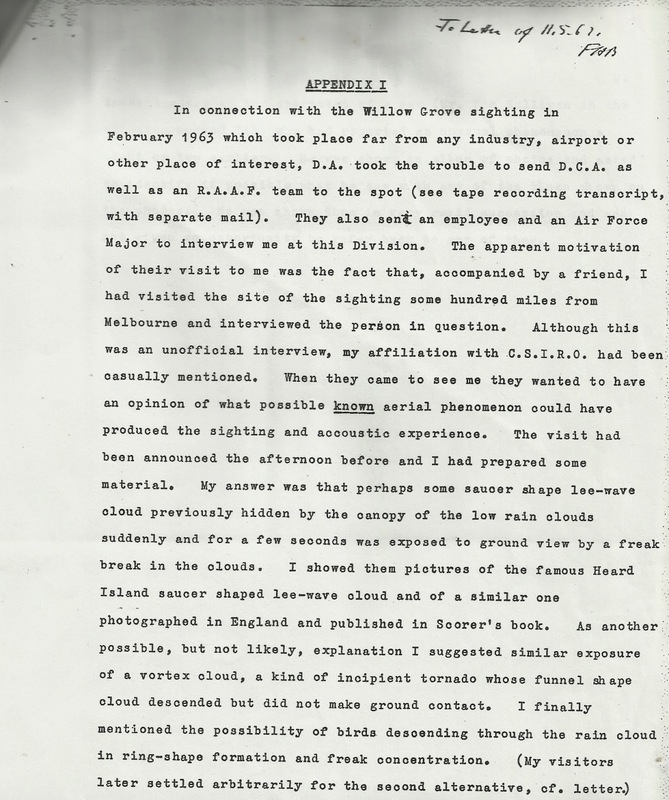 Despite the extraordinary nature of the Willow Grove incident and the high level of official interest in it, the sighting was listed in a subsequently released "Summary of Unidentified Aerial Sightings reported to Department of Air, Canberra, ACT, from 1960" as having a possible cause of "tornado like meteorological manifestation." Here is the real story behind the development of the RAAF’s explanation of the Willow Grove UFO as a "tornado like meteorological manifestation." 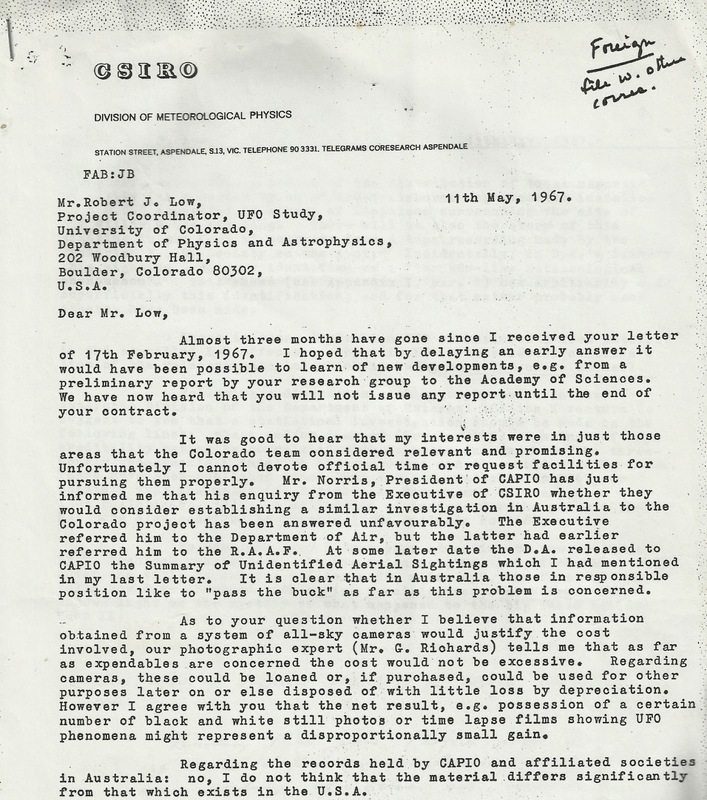 Dr. Berson revealed it is a letter to Robert Low, the project coordinator of the notorious Condon committee studying UFOs, at the University of Colorado. Dr. Berson was under the impression that the Condon Committee was going to do a serious investigation of the UFO mystery. “In connection with the Willow Grove sighting in February 1963 which took place far from any industry, airport or other place of interest, D.A. (Department of Air – or what became Department of Defence (Air Force) – B.C.) took the trouble to send D.C.A. as well as an R.A.A.F. team to the spot. They also sent an employee and an Air Force Major to interview me at this Division. The apparent motivation of their visit to me was the fact that, accompanied by a friend, I had visited the site of the sighting some hundred miles from Melbourne and interviewed the person in question. Although this was an unofficial interview, my affiliation with C.S.I.R.O had been casually mentioned. “When they came to see me they wanted to have an opinion of what possible known aerial phenomenon could have produced the sighting and acoustic experience. The visit had been announced the afternoon before and I had prepared some material. 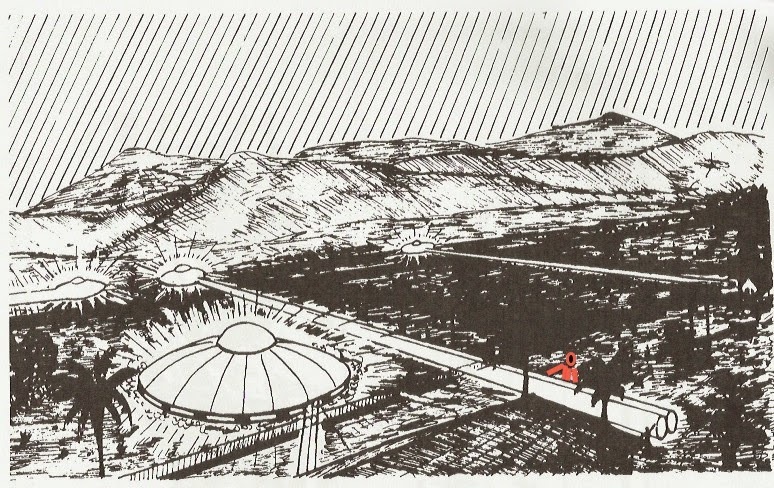 “My answer was that perhaps some saucer shaped lee-wave cloud previously hidden by the canopy of the low rain clouds suddenly and for a few seconds was exposed to ground view by a freak break in the clouds. I showed them pictures of the famous Heard Island saucer shaped lee-wave cloud and of a similar one photographed in England and published in Scorer’s book. “As another possible, but not likely, explanation I suggested similar exposure of a vortex cloud, a kind of incipient tornado whose funnel shape descended but did not make ground contact. Dr. Berson wrote Low, “Following a discussion with a geophysicist in the Antarctic Division of the Department of External Affairs I venture to suggest to you that a statistical investigation should be made on the following lines: place and/or time of (low level?) sightings of high credibility rating be correlated with magnetic data such as high hourly geomagnetic K index at observatories and the world-wide K index. These have been published since 1955 and are available to 1962, or possibly 1963 inclusive (J. Bartels, A. Romana and Veldcamp, IAGA Bulletins No. 12). A collection of indices for the years 1932-61 has been also compiled by Bartels (IAGA Bulletin No. 18). 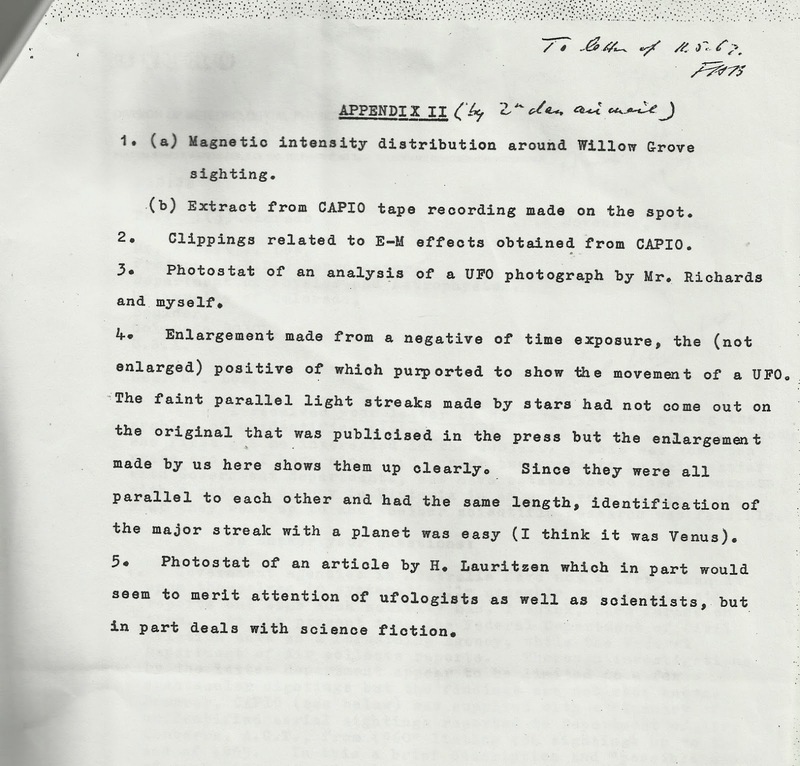 Berson’s suggestion was not fully acted upon but the final report of the Condon Committee did had a chapter on “Instrumentation for UFO Searches” by Frederick Ayer II. Dr. Claude Poher did a study based on magnetic field measurements at Chanston-la-Foret (France) in 1973. In 1976 Dr. Poher criticised the Department of Air (Department of Defence (Air Office) UFO “Summaries” for their often implausible conclusions. At the same time the French equivalent to NASA – CNES – were forming GEPAN – their UFO/UAP study group which continues today as GEIPAN. Dr. Poher was its first director. The DA/DOD/RAAF were certainly a long way behind the curve, perhaps being led astray with their own poor science (or lack of science) by the remarkable cosmic tornados from OZ. Here are Dr. Berson's letters to Robert Low (1966 & 1967) which references his growing UFO interest, initiated by his contact with Mr. I. S. Groodin around 1956 (a fellow member of the CSIRO's atmospheric research division), his intermittent connects with "D.A." 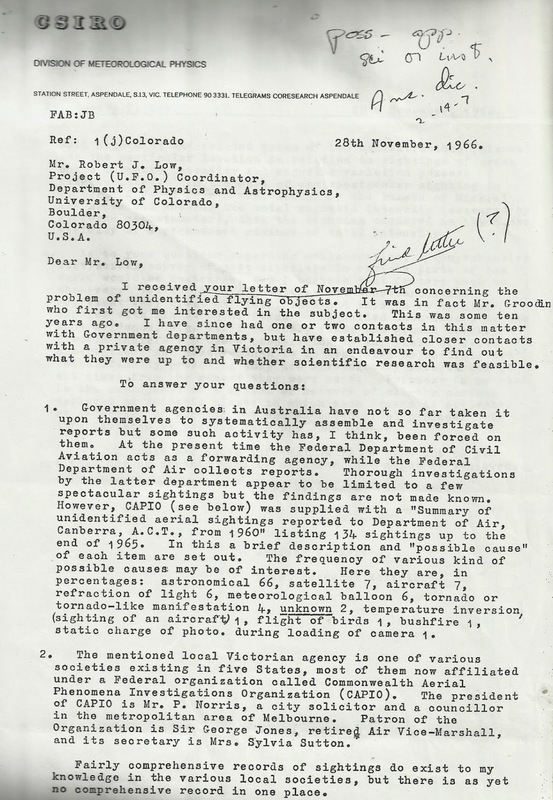 (Department of Air or the Department of Defence (Air Office), namely the RAAF and DAFI - Directorate of Air Force Intelligence) shared with CSIRO associate Reg Clarke, his communications with Dr. James McDonald, all of which would fuel his concern that UFOs were a serious subject. He anonymously commented in a John Hallows article series in "The Australian" newspaper in 1968. His correspondence with Low reveal his thoughts about a UFO science in the making. Note: some replication in the scans occur because of the old foolscap format of the original letters. Berson & Groodin appear in this 1953 photo from "Winds of Change"
The striking Trancas close encounter - "solid light" or carbon arc spotlights? 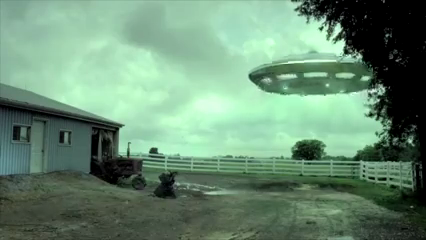 artistic representation of the closest object - a UFO? a tank? an upside down giant size carbon arc lamp with light beam emerging from the (wrong?) back end? (with "fire" coming from its base. 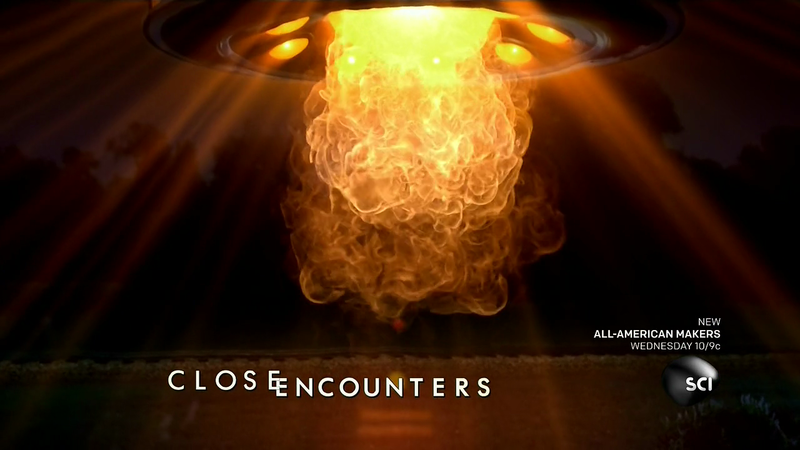 The first episode of the second season of the Newroad series "Close Encounters" has just aired on the Science channel in the US. 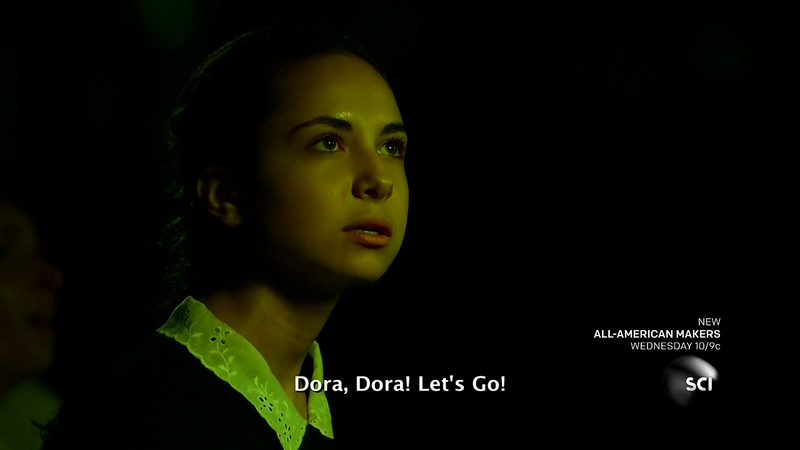 Discovery Canada will follow on February 6. 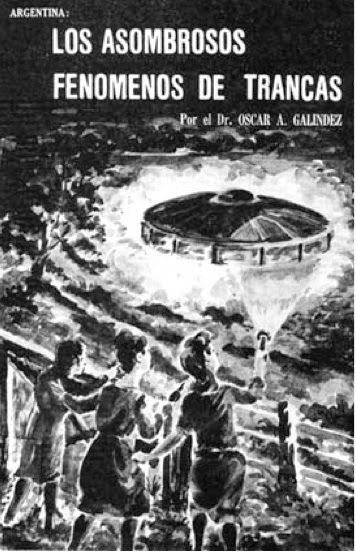 The fascinating Trancas encounter from Argentina in 1963 was featured with commentary from 2 UFO researchers with chemistry backgrounds - Ademar Jose Gevaerd from Brazil and me from OZ (Australia). The recreation captured some of the witness dynamics well, but the encounter aspect fell short of what was reported. Still I'm sure it will attract people to dig more deeply into this fascinating affair - a terrifying UFO encounter or an unreported military deployment of equipment and unverified carbon arc spotlights. I have inserted the Dr. Bucher drawing (with my "stick woman" placed in the manner of how the witness actually reported she placed her hand in the strange horizontal non-divergent truncated beam of white light - not green, not vertical and not like a laser beam) which more accurately captures the reported events. Roberto Banchs conducted a detailed retrospective investigation in the 1980s. I've examined the original investigations, the Galindez investigation in the 1970s and other data, as well as the Banchs investigation. I still feel the case is not fully explained and may well be a striking unexplained "solid light" event. There are simply too many elements not explained by the explanatory models. 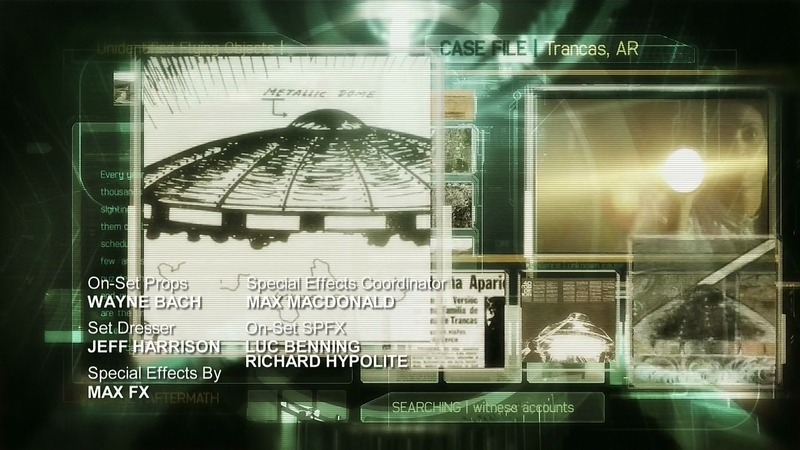 The colour images are from the "Close Encounter" programme. 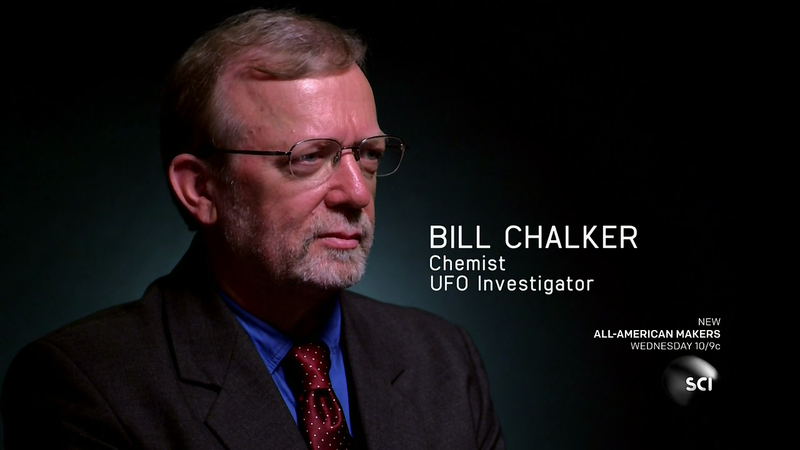 Bill Gill was one of the most compelling and impressive UFO witnesses I had ever met. We corresponded and talked often about his remarkable experience. 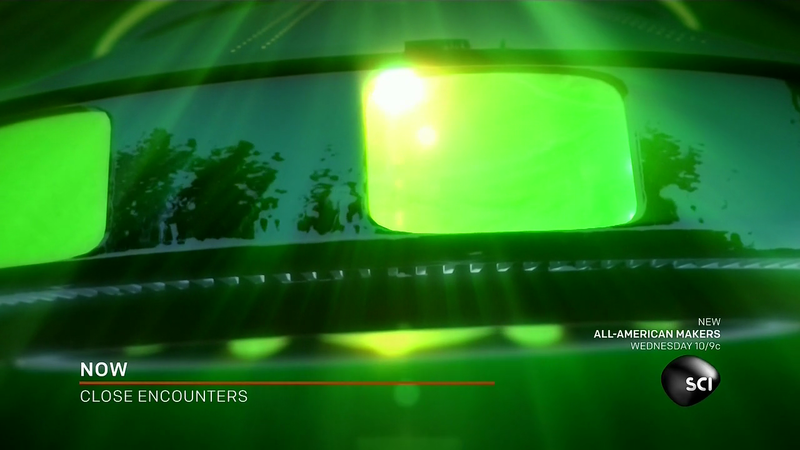 His experience witnessed by other members of the Boianai mission in Papua New Guinea in 1959 will be examined in Season 2 of Close Encounters on the Discovery Canada channel. I have tremendous respect for Bill Gill and I hope that the Close Encounters story accurately addresses his extraordinary experience - one of the best cases ever reported. The image is from a video I took from Rev Gill's last UFO lecture, Brisbane, 14th June 2003. Bill Gill's extraordinary journey from skeptic to believer needs to be carefully stated. He was never a believer, but he simply stated that he saw what he saw. (the video excerpt at this link is from "UFOs are Here (1977)") His whole life after the Boianai sightings was somewhat affected and why publicly he was patiently willing to consider all possible explanations the extremes of some skeptics and some ET believer apparently hurt the family. He supported serious attempts to analysis and investigate his sighting, even if they were skeptical or explanations that were not alien UFOs. Bill Gill's letter to David Durie dated 25/6: I am almost convinced about the "visitation" theory. There have been quite a number of reports over the months, from reliable witnesses. I do not doubt the existence of these "things" (indeed I cannot now that I have seen one for myself) but my simple mind still requires scientific evidence before I can accept the from-outer-space theory. I am inclined to believe that probably many UFO's are more likely some form of electric phenomena - or perhaps something brought about by the atom bomb explosions, etc. At this stage Bill still left open in his mind the idea of "visitation" - visitation by aliens, the Americans or whatever. Now, less than 24 hours later I have changed my views somewhat. Last night we at Boianai experienced about 4 hours of UFO activity, and there is no doubt whatsoever that they are handled by beings of some kind. At times it was absolutely breathtaking. he had none he was certain of. He mentioned that the object was manned by "beings of some kind" but was being somewhat "tongue-in-cheek" as he was only certain of what he saw, not what it was. Ernie Evennett, a trader saw a UFO that same night (26/6) from across the bay. When he arrived at Boianai on 27/6 he was asked by natives, "Taubada (pigeon English for Sir), did you see the American Air Force last night? We did at Boianai." So clearly Boianai natives and Gill were still entertaining "the American" visitation idea, but he was open to the ET idea, but still not totally certain. 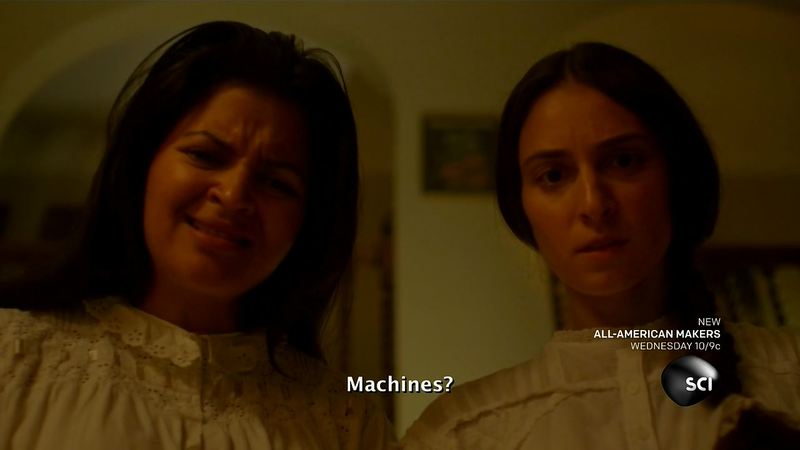 With the night of 27/6 the "visitation" idea was verified in Gill's mind. He now no longer had any doubt of the "visitation" being real. He had his notes, he had his witnesses and plenty of others had seen things. He still wasn't prepared to say they were alien. He was soon back in Australia and gave a lecture to the Victorian Flying Saucer Research Society on October 28, 1959, of which I have a full transcript. He had also said similar things to the ABC TV: "I accept the possibility of life on other planets …. But I've no theory, merely because I haven't had time to think about it." For Rev Gill I think while he couldn't prove it, so he did not present it forcefully, it was an explanation that did not seriously confront his religious thoughts. 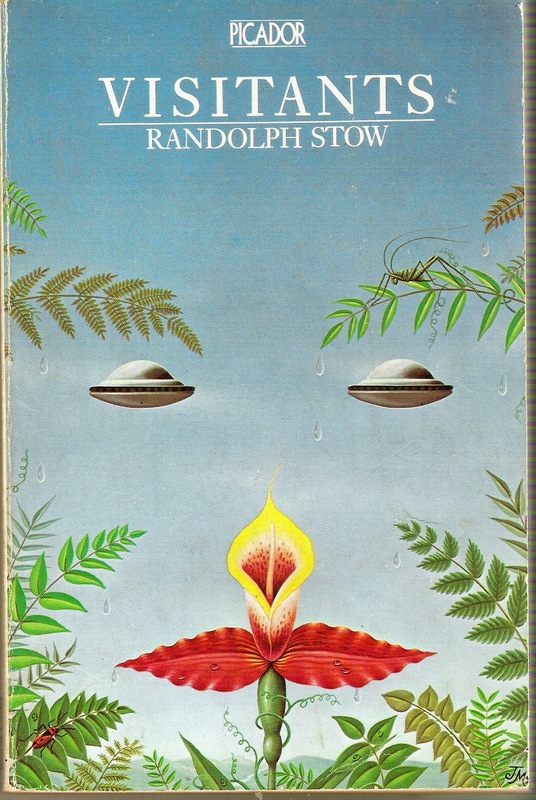 As far as I know this was the closest he came to saying this, that maybe the Boianai "visitants" were "angels", perhaps "angels" to him, "aliens" to others, but certainly real, certainly "visitants" - a term preserved by Randolph Stow in his novel "Visitants" - which opens with a prologue referring to the sightings. 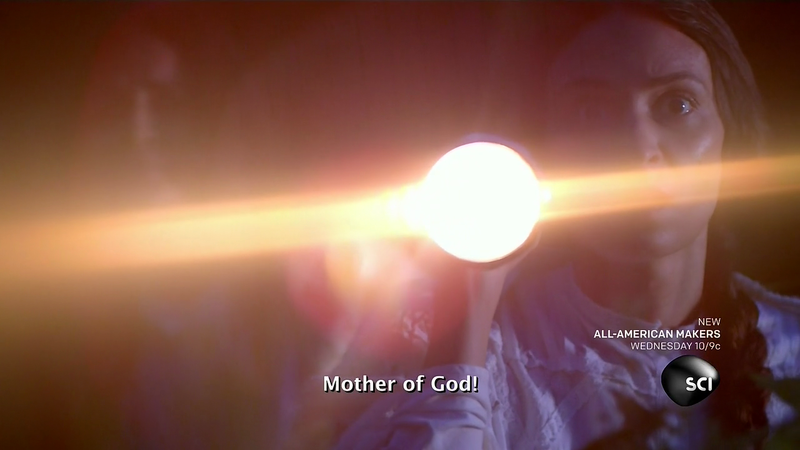 So thats it, my understanding of the evolution of Bill Gill's thoughts on his sighting. Not really belief, but anchored in fact, and apparently privately mediated by his faith. But he put that out there as just an idea for thinking about. Perhaps the glowing "radiance" "sparking, etc that surround the "men" and the object led him privately in that direction. Publicly "aliens", "Americans" or "aliens", he did not know, but he was certain of what he saw. 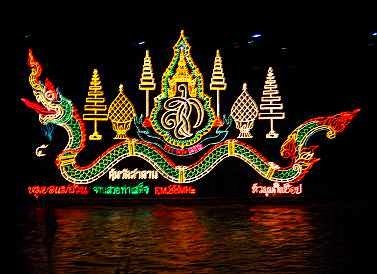 I went to Nong Khai and Phon Phisai where the spectacular Naga light fireball festival was in full swing on the Mekong river looking towards Laos. I was in Phon Phisai on Saturday night October 7 for the anticipated fireball display. The human part of the light show - fireworks, rockets, large fire balloons, fireboats etc - was in great evidence, but when the Naga fireballs started emerging, they were strikingly different to the easily discernible human displays - very straight vertical flights out of river to a great height and then disappearing after a few seconds. Each appearance was greeted with a huge roar from the thousands of people lining the river at every vantage point along the Mekong. 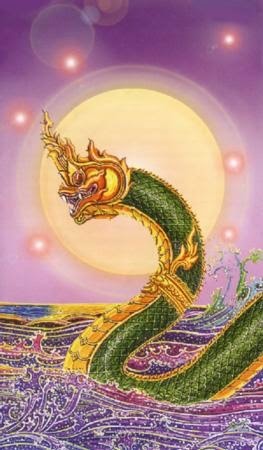 This phenomenon has a tremendous social and human dimension and while it is tempting to try to explain the lights, however correctly or incorrectly- planted "rockets", "submarine" firings, Naga Dragon speaking - they all seem to fall short of entirely convincing explanations. The UFO researcher in me calls for an explanation, and I have to wonder about the presence of the manned fireboats plying the river prior to the appearance of the Naga lights, but from my observations it seems difficult to see how they do it and what kind of item is utilised, given nothing seemed to be at the localities around the various exit points in the river for some time either side of each Naga light appearance. The emotional response to these lights on site is to inevitably get caught up in the chaotic flow of the evening events. It is easy to get caught up in the moment and loose objectivity. Perhaps thats why they write books like "Mad about the Mekong". It is a great area full of extraordinary sights and experience, not the least of them being the Naga Light show during the full moon glow over the river. I saw the lights about 8 times coming out of the river. It was a great day and night. My guides Noi and Jiap and I describe the fascinating light festival. If you get to Udon Thani try tracking down Jiap via your hotel - a great guide. This focuses on the fireboats that go up the river and return to Nong Khai. I tried to video in closely to see if there was evidence of placement of "light ball" devices to initiate later fireworks. With the strength of the river flow on the Mekong that would be a real achievement. I did detect some of "fireboat" operators dropping stuff into the water, but these seemed no more that the spent bits of lighting the fireworks that would go up from the boats as a prelude or encouragement for the Naga "dragons" to expel their famous "naga lights." The "naga lights" that would appear later in the night appeared to have no connection to the "fireboats". No hidden floating platforms could be seen. I thought it was going to difficult to pickup on the Naga Lights, but there was a great roar from the delighted local people - thousand along about a 10 to 20 kilometre corridor on both sides of the Mekong - that would highlight the "Naga lights" - these would rise directly up each time, never in a haphazard way like with the fireworks, and always in the middle of the river and away from any boats. The videos don'y capture the excitement and magnitude of the evenings events. The 6th video (final) of my Mekong Naga light adventures - more "Naga lights", my guide Noi confirmed how many she had seen and my night vision videoing confirmed that nothing was evident in the areas where the Naga lights rose from the river. I was left puzzled and frustrated that my "fireboat" hypothesis was not borne out my the night's Naga Light show. 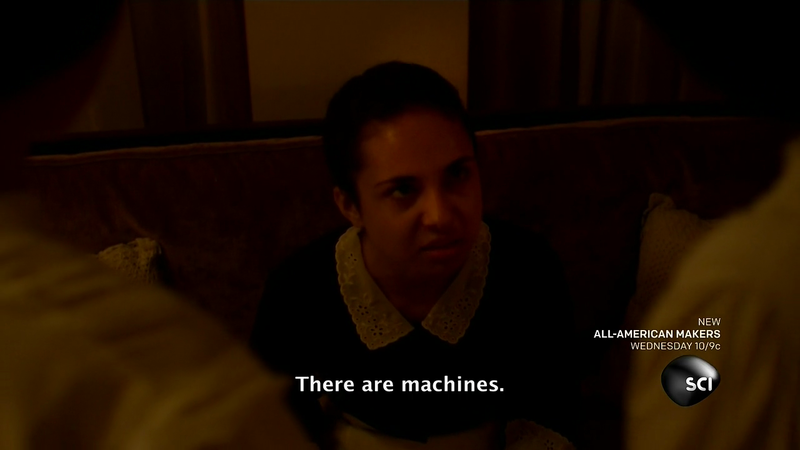 The answers were not obvious and the Laos side were not the source of ones we witnessed. It had been an amazing, exciting and entertaining night. No wonder they write books like "Mad about the Mekong." 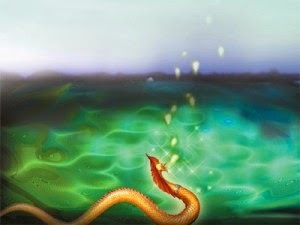 I would return again given the opportunity - the mystery magic and the allure of the Naga Lights was potent and powerful. My videoing efforts did record the unusual lights, but nowhere near the clarity of what we saw before us with our own eyes. Fascinating and fun. The locals were happy that their Naga legendary lights had returned, my guides were amazed and so was I, particularly with the intoxicating power and fun of the festival. 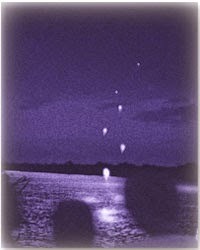 My Fortean friend Paul Cropper went a couple years running more recently viewing the events from both sides of the Mekong. He to was frustrated and puzzled. Both of us were not able to answer the mystery of the Naga Lights with any certainty. 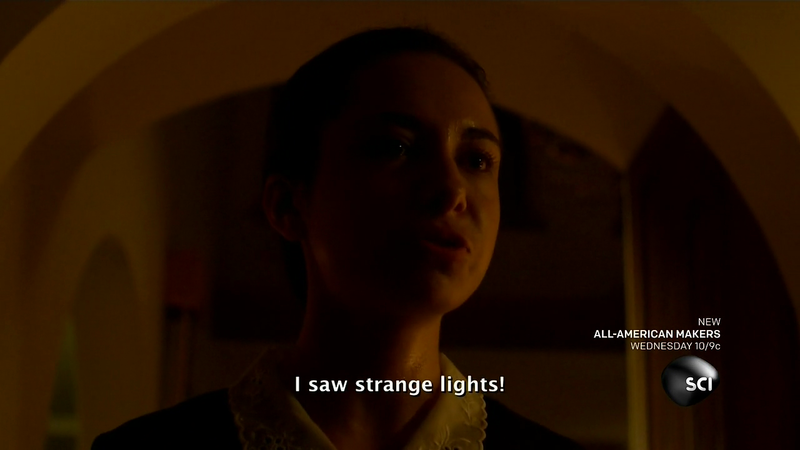 If it was a man made show it was a great achievement as the mystery and allure of the lights continues. I bow to the power of the Naga lights whose erratic appearances don't seem suited to maintaining certainty of reappearances each year. In fact their number and location varies a lot. A tourist mediated affair would need a much greater reliability in the appearance of the lights. Instead some years and locations often leave tourists and locals with a no show, hardly consistent with the logic of putting on a good man made show. 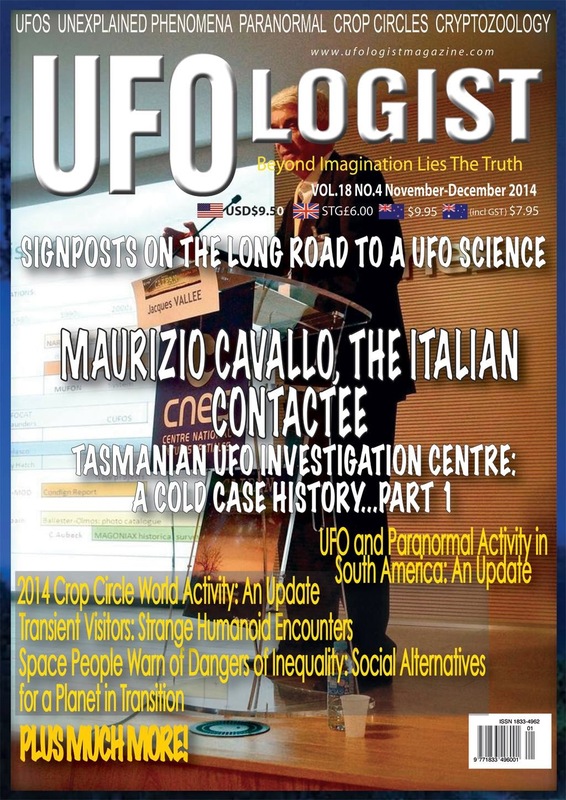 Latest issue of UFO TRUTH - cover, contents & first page of my 4 page column: "The OZ Files"
Lots of interesting material. Check it out. 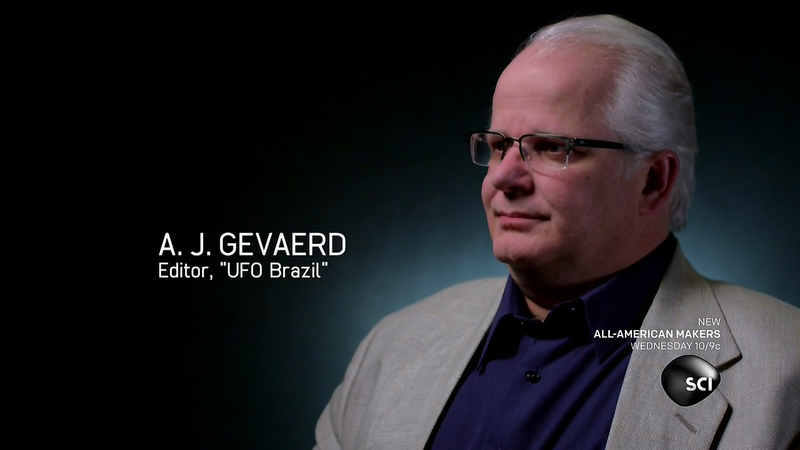 Lots of interesting material in the UFOlogist. "Signposts on the long road to a UFO science" (the July 2014 Paris CAIPAN/GEIPAN workshop): Jacques Vallee: "This is really a dream come true for many of us." 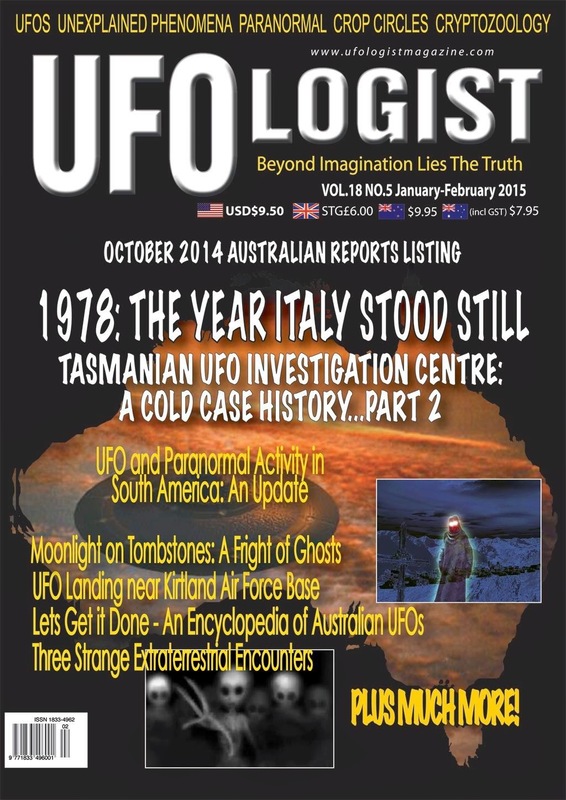 "Lets Get it done - An Encyclopedia of Australian UFOs." For further information on this project check my recent post.